We provide professionally guided sportfishing trips for 4 specie of Pacific salmon, Pacific halibut and trout. 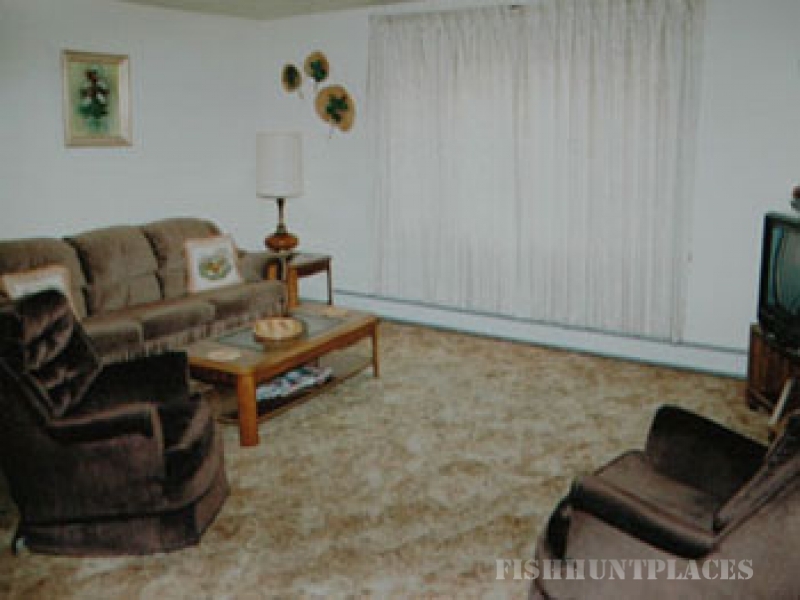 Our lodge provides "condo" style lodging with private bedrooms, a full kitchen, dining, and living room. You can prepare meals or dine out at over 3 dozen local restaurants. We use 28 to 32 foot boats for conducting out saltwater fishing charters. 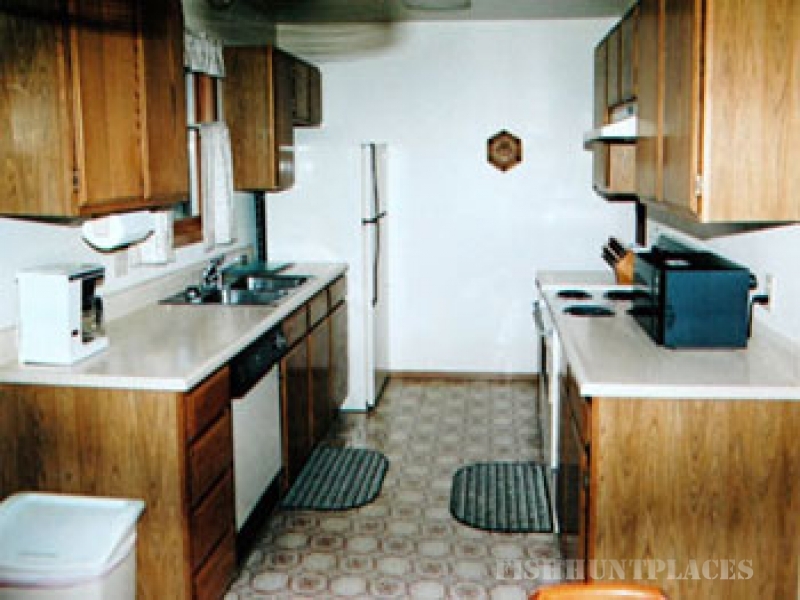 Our boats fish a maximum of six, and have cabins and restrooms for your comfort, and they are equipped with full electronics for your safety and fishing success. They are the largest members of the flounder family averaging 10 to 100 pounds in Cook Inlet, with numerous fish ranging between 100 and 300 pounds caught each season. They look like a flat fish with a white bottomside and a dark brown topside which carries their eyes. They have ravenous appetites which make them eager customers for your bait. It is a typical catch for every angler to take their two fish limit on our charters. You can release any size fish you desire, and actually the "chicken halibut" (10-30 lbs.) produce some of the best dining experiences. In fact, if you don't care to eat fish but enjoy good chicken, then you are an excellent candidate for these mouth-watering fillets. A fresh halibut dinner is tough to beat! 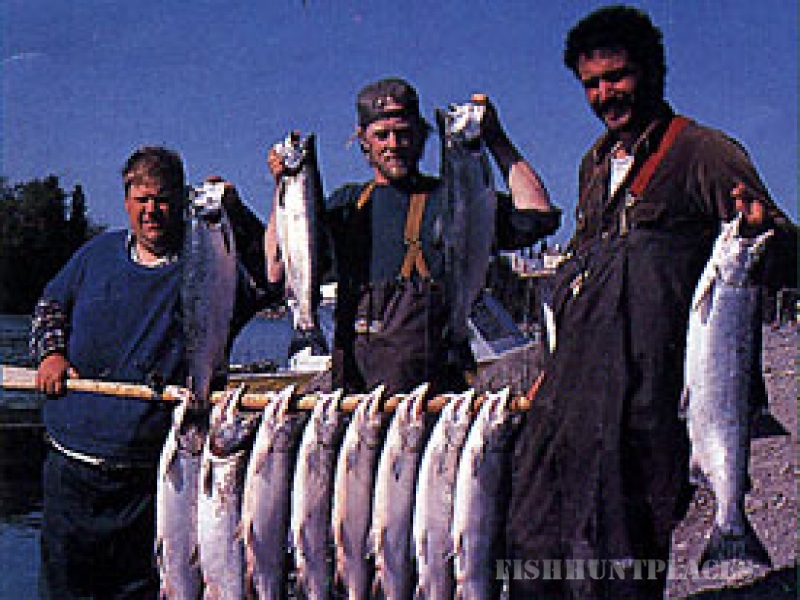 Our freshwater king (chinook) salmon fishing occurs from May to the end of July. 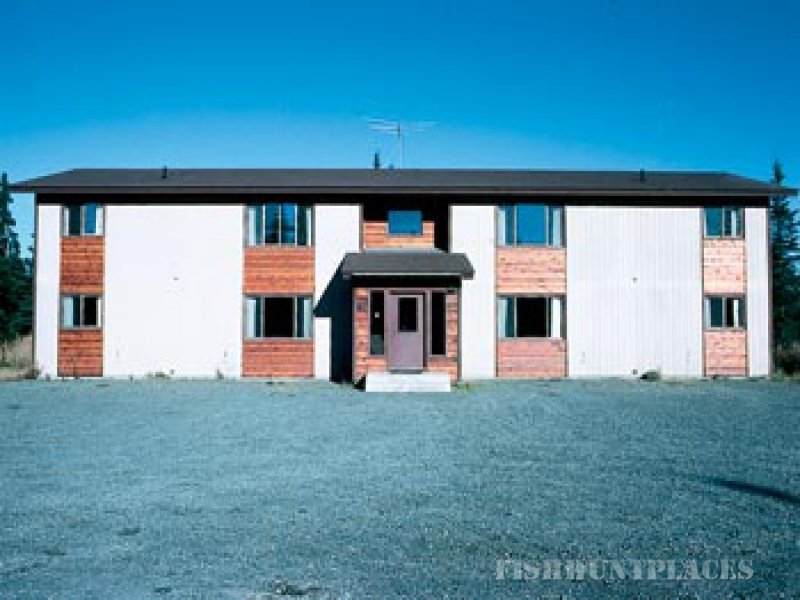 Our fishing takes place on the Kenai and Kasilof Rivers. We fish powerboats that run 20 to 24 feet in length on the Kenai River. These boats have 5 to 6 ft. bottoms, comfortable seats, and a lot of room to allow you space and stability to fight that big salmon. We fish driftboats on the Kasilof River because it is too shallow for our powerboats. These non-powered drift boats range in length from 16 to 20 feet, and are powered by oars which make them a very quiet way to fish your way down the river. We have some of the largest king salmon in the world! 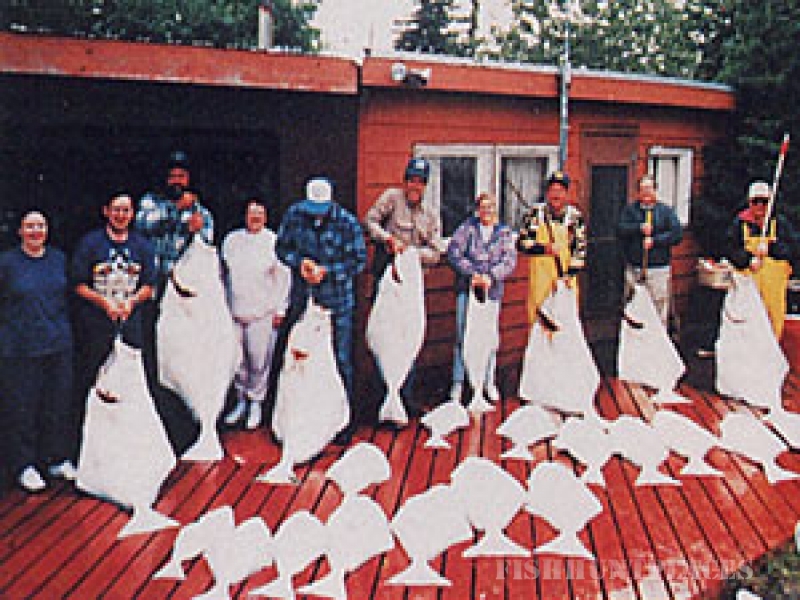 The Kenai River produced the world record of 97 lbs. 4 ozs. on May 17, 1985. You can expect your king salmon to average 25-60 lbs. on the Kenai River, and 15-40 lbs. on the Kasilof River. We take many salmon over 60 pounds each season and do expect a new world record any year. The coho salmon is also known as the silver salmon, they range in size from 8 to 16 pounds in Alaska. We have two runs of them in our area: one in August and one in September. The coho is known for its acrobatic nature and sizzling runs. Pound for pound it is the hardest fighting salmon on sport tackle. They are very aggressive even in freshwater rivers after they have ceased actively feeding. We use basically two methods for catching this game fish in freshwater: one method is to anchor our boat in the river and wait for the schools to come to us and we employ our other method by simply casting spoons and spinners to them. When we are anchored we may use wing-bobbers, corkies, salmon eggs and diving plugs for bait behind our boat. Again, you need to be patient when you get taps on your line. These salmon bite like little trout and you will miss them if you don't let them take the bait. When we use spoons and spinners you set the hook when you feel the fish. The coho salmon can keep you real busy when a school moves into your area. Besides being a great fighting salmon they are great smoked, canned, grilled, and deep fried, for a dining experience you soon won't forget. Our freshwater sockeye (also known as "reds") salmon fishing takes place during the latter halves of June and July. The sockeye averages 6 to 10 pounds and has the brightest red-colored flesh of any of the Pacific salmon. They are my favorite canned salmon. They are great fighters on sport tackle and one of the more abundant salmon species in Alaska. Escapements of over one million sockeyes into the Kenai River are not unusual occurrences. Sockeyes tend not to feed in freshwater but the shear numbers of concentrated fish can make taking your limit an easy task. The pink (humpback) salmon is the smallest of the Pacific salmon and the most abundant salmon. They range in size from 4 to 10 lbs. in the Kenai River and return every two years. They are the easiest salmon to catch and just love to attack your lure all day long. We usually use 6 1/2 ft. spinning rods with 14 to 17 lb. test line. They are very aggressive towards spoons and spinners; taking your six fish limit can be a very easy task during the first 3 weeks of August. We fish for the fresh fish that recently came in on our high tides for those who wish to eat them. They are a very good salmon for eating if they are in saltwater or have just arrived into freshwater from the ocean. Action can be so furious that having everyone on your boat hooked-up is commonplace. Fishermen who are not accustomed to practically hooking a salmon on every cast find this fishing action an exciting experience. We offer remote trophy fishing for rainbow and Dolly Varden trout on the upper Kenai River from June 11th into October. You will find the upper Kenai River to be abundant with beautiful scenery and large trout. We use whitewater driftboats and powerboats for this fishery. Trout that range from 2 to 8 pounds are quite common, and most of our water is considered a catch-and-release fishery. It is not uncommon to catch a trout that ranges between 8 to 20 pounds on this great river. If you are looking for a peaceful day of great trout fishing on the beautiful turquoise waters of the Kenai River, then put this trip into your fishing itinerary.